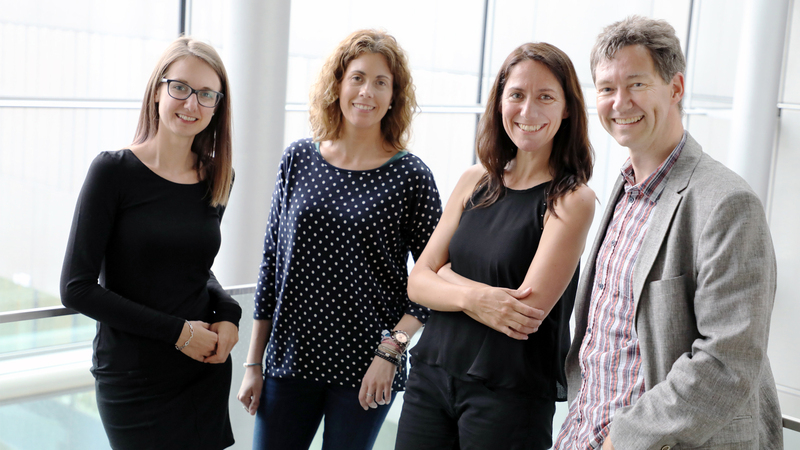 The two Spanish researchers Marta Vicente, PhD candidate at the University of Alicante, and her supervisor Dr. Elena Lloret Pastor shared their insights in the field of Natural Language Processing during their international research visits at the Salzburg University of Applies Sciences (SUAS). As a specialist for text generation Vicente’s research focuses on automatic presetting of text structure. During her three-month research visit at the Applied Image & Signal Processing (AISP) degree programme at SUAS she worked on her doctoral thesis and shared her deliverables with students and researchers. “It was great to foster the cooperation with the University of Alicante and get an update on what is happening in the field there. Also, the exchange of methods was very helpful”, says DI Cornelia Ferner, BSc, lecturer and researcher at the AISP degree programme at the Salzburg University of Applied Sciences who worked with Vicente. Dr. Elena Lloret Pastor is a luminary in the field of automatic text summarization and semantic information representation. She joined Vicente’s research visit for a couple of days as part of the Erasmus Teaching Mobility programme and gave a lecture to interested students. Dr. Pastor is a well-known and welcome guest at SUAS. During her studies she as well had spent a semester at the degree programme Information Technology & Systems Management at SUAS and last year she participated in the 1st International Data Science Conference at SUAS as a session chair. The University of Alicante is one of 140 partner institutions of SUAS for student and research visits. In 2016 master student Michael Gruber spent a semester abroad there.